All videos of Jason Derulo is in high quality music video VOB format. Jason Derulo - Best videos. Download in original DVD-quality VOB format. 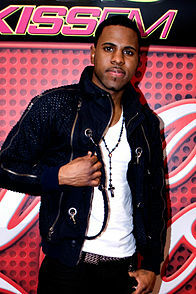 Jason Joel Desrouleaux (born September 21, 1989), better known by his stage name Jason Derulo (a phonetic spelling of his last name), is an American singer-songwriter and dancer. Since the start of his career as a solo recording artist in 2009, Jason has sold over 30 million singles and has achieved six Top 5 singles, including "Wiggle", "Talk Dirty", "The Other Side", "Ridin' Solo", "In My Head", and "Whatcha Say". MixMash QuickMash 2011 Vol.13 ... and etc.